Service Management Journey: HR is from Jupiter, IT is from Saturn…or are they? 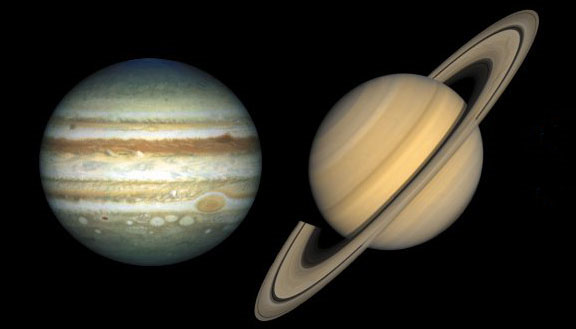 HR is from Jupiter, IT is from Saturn…or are they? I was recently having coffee with a colleague who works in Human Resources and they were relating a challenge that they had around the rate of onboarding a new employee. Without even much thought I replied “I know that pain point.” My friend gave me a strange glance and then I realized that while I have never worked in HR is there much of a difference in the way that HR and IT provide services to their customers? For some time IT Service Management has talked about how it needs to drop the “IT” and really focus on providing service, period. I began to think about this and wondered what similarities existed in the provision of services for both IT and HR and where my experience could help my friend. The first thing I thought of was the top challenges many HR and IT teams face. While they have their own departmental nuances, they also share a common theme which needs to be addressed. What makes the interaction between the business and IT and the business and HR the same? To be able to provide top notch service to your business you need players on the team which can deliver results. This could apply to IT, HR, Finance or any shared service. In a broader sense when communicating to a large audience we need to ensure a consistent message is delivered to and our business informed. While doing this we need to make sure that we convey messages in terms which all business customers understand. This is true whether it is in a companywide communication or if it is day to day in personal dealing from an HR service center. It can be easy to revert to jargon from our fields which may not be common terminology. Like IT, HR faces the challenge of carefully watching its budgets while also managing the staffing constraints it faces associated to that budget. There are times where, like IT, an outside resource may be able to better provide service for a lower cost than doing it ‘in house’. For me the ability to continually improve service comes back to reporting. Utilizing data to make decisions can be a challenge mainly because both IT and HR either have so much data that they cant make real sense of it, or, that they are not gathering the right information to give them the data that they need. To be a successful HR or IT department really we need to ensure that we are aligning our goals against what the business is trying to achieve. At the end of the day if we don’t do that we will always fall short of success in the eyes of your business. Both IT and HR have access to sensitive information which needs to be managed. There are processes in place to ensure that the data which needs to be locked down remains that way. From a service delivery perspective have we validated that the integration of this information between teams has lined up. Have we looked at the bigger picture from a business perspective and ensured we are all on the same page? To manage the barrage of questions that makes their way into a queue each and every day we need to have a process to collect, share and retire information with our customers where it makes sense. To be able to effectively do this a knowledge management strategy should be looked at to manage the lifecycle of the data. Yes, it’s true IT and HR are different, but they exist in the same ‘business solar system’. I’m sure that there are plenty of other examples of how these two are more similar than they are different. So why does it seem that they function in two different universes? I love feedback and questions, leverage my service management experiences. Let me know your challenges and successes.